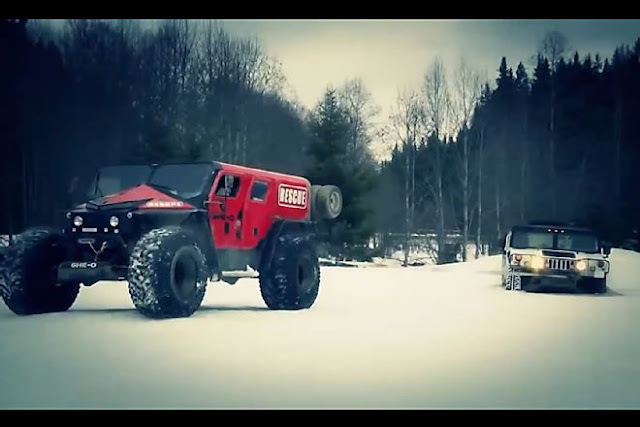 Meet the Romanian Monster The Rescue: It is a custom-built rescue truck suitable for transportation, medical support and fire extinguishing capabilities across all terrains and any weather nature can throw at it. Up to 11 people can sit on board the 3.2-tonne monster, and you can spec many different accessories to suit your superhero needs. the ideal solution for transportation, medical support and fire extinguish capabilities on all terrains and in all weather. With off road solutions borrowed from racing and with a close to competition philosophy, the performance version Rescue is in fact, despite their truck like look, a very capable all terrain solution rivaling with any small racing equipped sports car. 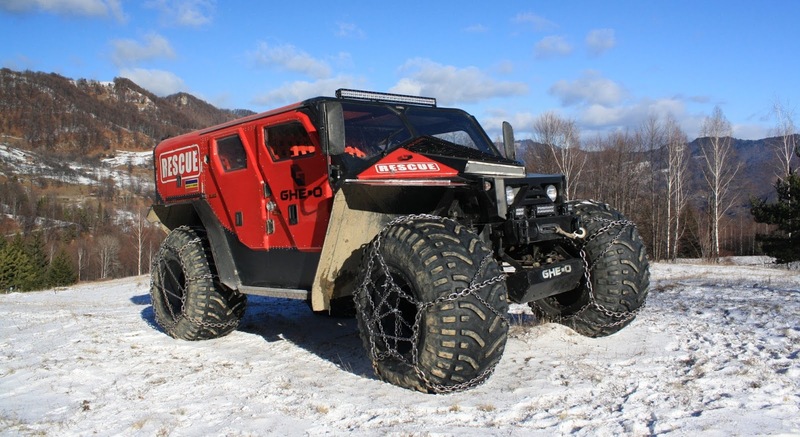 We can add that, because of the bigger wheels and mass distribution, Rescue can outperform in most of situations two seats off road cars with the difference that it can do that with eleven people on board. We make this parallel between Rescue and road racing just for a better understanding of the capabilities hidden under the general styling, in fact we can say that rescue have its own class. With sizes like 5.200/2.700/2.390 and the weight of 3.2T rescue can have accessories like water pumps for firefighters, 620L water tank pneumatic pillows on wheels for better floating on water or snow, tracks on rear wheels, on top cargo (foldable), medical stretch (with side door access), plow system, terratrip and GPS. electromagnetic and water protection. There are many customizable aspects we can cover. The predator means to be agile, stable, with advanced visibility, 50%-50% weight distribution, and a proper balanced power to weight to give a significant advantage in race environment. The frame is built with special alloy steel usually in concordance with FIA requirements for track prototypes and came with 140kg weight. And last engine is fitted to the predator having power 380 bhp. Fire fighter is also having extreme off-road racing two seater car but loaded with fire extinguisher with 250 L water tank. The concept of this car is to cover command and control responsible need for agile access in any off-road area in any weather and any situation. With a proper handling technique, this car has no limits on any terrain and can transport safely its two occupants. The heavy duty transmission with lockable axles is powered by engine: on petrol -27 0bhp or diesel-203 bhp. 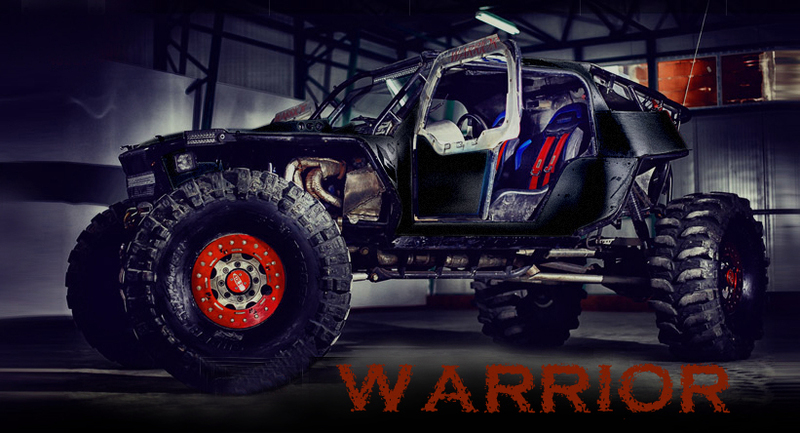 According to GHE-O the warrior means rough power with a LS3 engine which produced 500 bhp. The 44” wheels with Bead lock aluminum rims will hover over any Terrain . FIGHTER 270 BHP is another model of GHE-O for those people who need bigger cabin.